I have learned that Google Inc. now provides a service called "My Citations" as part of "Google Scholar." This service automatically makes, preserves and updates a list of publications by a researcher (papers, books, etc., including those with coauthors) together with the number of citations and the lists of sources of citations. It seems to have started last summer. 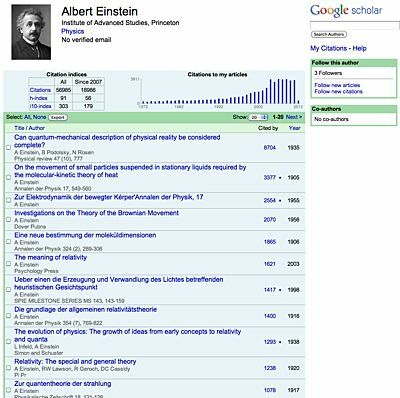 There is a Web page that introduces the service, telling that you can see an example of Einstein's citations (the above image). The total number of citations of his publications is currently 56,985. As for me, the total number is 1277 (as of today; see here for a possible update) and is 2.2% of Einstein's. I certainly know this: The relative importance of the scientific contributions by Einstein to that of mine is much more than this ratio shows because of the following reason. The results obtained by Einstein soon became well known. Therefore, those are often used without citing the original paper every time. Contrary to this, it is always necessary to mention the original publication in order to use such results as are not widely known like ours. There is another reason for the fact that the number of citations of Einstein's publications are less than expected. Compilation of citation data from earlier journals are probably not yet complete, because publication was not digitized those days (my number may also suffer this delay to some extent). This can be inferred from the graph in the above image; i.e., the number of citations per year shows a trend of decline as the year goes back in the period before 2004. I will soon write another blog post to describe advantages and disadvantages of "My citation" service at the present stage. Peter Woit at Columbia University is known for his criticisms of string theory in his book Not Even Wrong  and writes essays at the blog site of the same name. One of his latest blog post was entitled "An Introduction to Group Therapy for Particle Physics" . The title comes from the subtitle of one of the books reviewed in the latest CERN Courier . He writes, "Group Therapy for Particle Physics (at least for particle theorists) seems like an excellent idea." "Not Even Wrong" shows that what many physicists call superstring “theory” is not a theory at all. It makes no predictions, not even wrong ones, and this very lack of falsifiability is what has allowed the subject to survive and flourish. This view can certainly lead to the thought that string theorists need "therapy." So, Woit is surely joking here. In fact, "Group Therapy" in the subtitle of the book is a typo, which should read "Group Theory." At the end of his blog post, Woit added three other examples of the same typo in publications related to group theory. I also saw the same typo on the occasion of "Third International Workshop on Electron and Photon Transport Theory" held in Indianapolis in 1999. On the name tag of participants, the title of the workshop was printed as "Third International Workshop on Electron and Photon Transport Therapy" . P. Woit, Not Even Wrong (Basic Books, 2006; paperbound 2007). P. Woit, "An Introduction to Group Therapy for Particle Physics," Blog site Not Even Wrong (January 24, 2012). 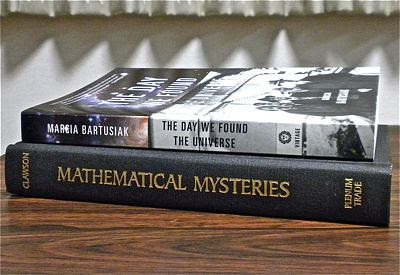 Bookshelf, CERN Courier (January 25, 2012). 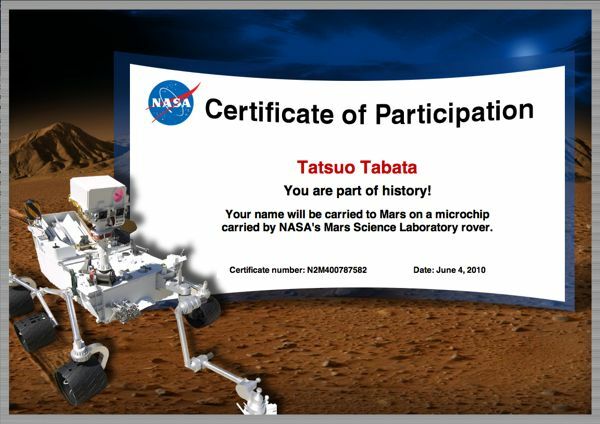 T. Tabata, "Stolen Joke," Web page Surely I'm Joking! : A Physicist's Personal Essays (August 18, 1999). The equation for the equivalence of mass and energy, E=mc2, was discovered by Albert Einstein, and is particularly popular. Do you know Einstein's equation for success in life? It is also quite simple and yet has a deep meaning. where A = success, x = work, y = play, and z = (mouth shut). We know the following two proverbs: (1) All work and no play makes Jack a dull boy. (2) Speech is silver, silence is golden. Einstein succeeded in unifying these proverbs into a single equation, though his quest for a unified theory of everything was too much ahead of time and fruitless. I have learned the above words of Einstein from Ref. 1, but do not find them at least in the original edition I have of Ref. 2. Said to Samuel J Woolf, Berlin, Summer 1929. Cited with additional notes in The Ultimate Quotable Einstein by Alice Calaprice and Freeman Dyson, Princeton UP (2010) p 230. RSICC Newsletter, No. 486, Radiation Safety Information Computational Center, Oak Ridge National Laboratory, Oak Ridge, Tennessee, U.S.A. (August 2005). A. Calaprice, ed., The New Quotable Einstein (Princeton University Press, Princeton, 2005; the original edition The Quotable Einstein published in 1996). "Albert Einstein," Wikiquote, at the end of "1920s" (14 January 2012, at 18:41).